Here is a hand written design of a Rangoli. 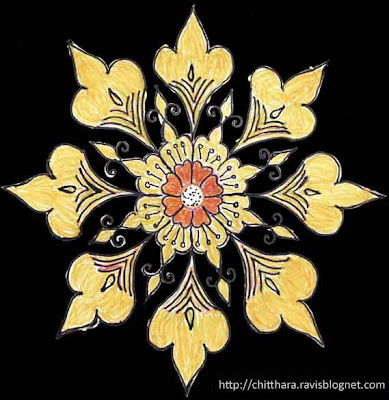 This design can be used for Rangoli, Roof top designs, Floor design of a performing arts stage or living room. The simple shades looks elegent.